Dr. Barrett Hatches is an accomplished senior executive with over 35 years of experience in management, to include extensive work in the energy and healthcare sectors. Dr. Hatches currently serves as President and Chief Executive Officer for the Chicago Family Health Center (CFHC). In this position, he leads one of Chicago’s leading federally qualified health centers that provides care annually to over 30,000 uninsured and underinsured patients across the South Side of Chicago through its network of five primary care health centers, dental offices, and behavioral health services. Prior to joining CFHC Dr. Hatches provided leadership and directed operations in a multitude of executive positions: within SCE, Chief Operating Officer, Executive Vice President—Business Growth, and President/ CEO of Swope Health Services, a non-profit healthcare system. Dr. Hatches previously served as President and CEO of Swope Health Services in Kansas City, MO, a non-profit federally qualified health center with 400 plus associates and clinics located throughout a five-county area in Missouri and Kansas. He was responsible for providing services to over 40,000 unduplicated patients with over 227,000 encounters in primary health care, behavioral health, dental, and outreach services. Within the energy sector, Dr. Hatches has provided visionary leadership as President/ CEO of four Gas and/or Electric Companies. He served as President/CEO of Northern Indiana Public Service Company, while also serving as CEO of Northern Indiana Fuel and Light Company, and Kokomo Gas and Fuel Company, in Indiana. He was President/CEO of ENSTAR Natural Gas in Anchorage, AK, and served in senior management positions at SEMCO Energy, and Western Resources Gas Service Division. He is the owner of Hatches Consulting, LLC which focuses on leadership development, performance technology, organizational and professional development, community relations and stakeholder management, executive coaching, business development, strategic planning and thinking, relationship management, financial development and performances, and customer service. Dr. Hatches works with the National Association of Community Health Centers (NACHC), providing technical assistance to health centers. He also serves as keynote speaker and workshop facilitator for many conferences on healthcare issues across the country. In addition to this, he provides webinars on healthcare topics along with providing technical assistance to healthcare CEOs around the country. As a catalyst for change he continues to work within his community as well as with local, state, and federal policy makers in focusing on healthcare and healthcare reform. 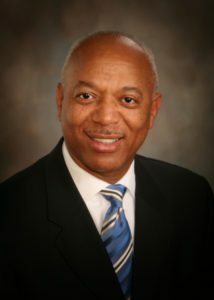 Dr. Hatches is a 1977 graduate of Jackson State University with a Bachelors of Science degree in Political Science, a 1995 graduate of Webster University with a Masters of Arts in Management, and a 2009 graduate of Jackson State University with a Ph.D. in Urban Leadership and Higher Education. He and his wife Ann have one daughter, C’Nea.